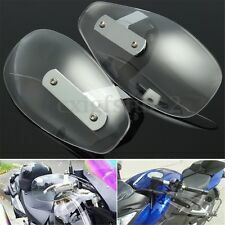 Motorcycle Hand Guard Handguard Wind Protector Shield For Honda Harley Touring. 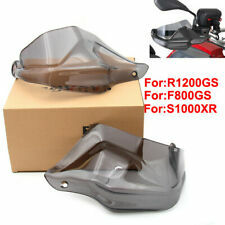 2X Motorcycle Hand Guard. - Protection for your hands while traveling on your motorcycle. 2X Extend Mounting Brackets. Color: Clear (Brown is also available). Grip Puppies will fit OVER all standard grip sizes. Made of a special high tech material that is U.V., ozone and oxidation resistant. Foam will not weaken or crack as a result of years of outdoor exposure. Rumney Racing Components Universal Front Brake Lever Guard/Protector and Allen key. Reach is fully adjustable by releasing two small Allen key grub screws. Angle is fully adjustable by releasing the m6 Allen key stud and tightening when your selected angle is achieved. These hand protectors are only connected at the end of the handlebars, essentially replacing the bar end weights. 7/8" Handlebar Motorcycle ATV Bike Brush Hand Guard Handguard Protector Black. - They look sharp and enhance not only your comfort level, but also your bike’s appearance. LED lighting can improve visibility in the dark, ensure the security and decorate your motorcycle more cool when driving. 1 Pair LED Hand Guards. Easy to install, simply connects to your vehicle's side/parking/head light wiring. Motocross Supermoto Trials MX Reinforced Handguard Protectors These MPW Handguards are made from heavy-duty plastic, reinforced with aluminium and are supplied with a fixing kit. They can fit most MX, enduro, adventure, naked and supermoto motorcycles equipped with 17mm internal diameter handlebars. These handguards provide you and your levers with better protection as well as defense against wind chill whether riding on or off road. Simple and easy to install, these handguards are an inexpensive way to improve the aesthetic of you motorcycle whilst giving added protection. OXFORD PRODUCTS. 1x L eft Heated Grip (22mm I/D x 125mm long). 1x Right Heated G rip (25.6mm I/D x 125mm long). 1x Converter insert tube (only for ATV's). Black Rock. Parts list for product: BLACK ROCK. 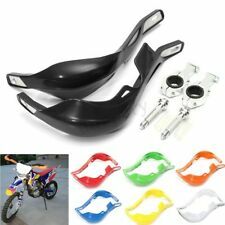 2x Brush Bar Hand Guards Handguard For 7/8" 22mm Universal handlebar Motorcycle. 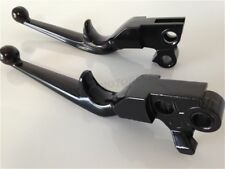 Fits most motorbike/cruiser/chopper/scooter models with 22mm(7/8") standard handlebar,such as For Honda,For Kawasaki,For Suzuki,For Yamaha,For KTM etc. Fits for 7/8" Handlebar. - They look sharp and enhance not only your comfort level, but also your bike’s appearance. Universal Hand/Brush Guard fitting. Wind protector removable. Color: Black (Clear,Blue are also available.). Fits Most motorcycles/ Bikes/ Choppers/ Crusiers/ Touring with 8mm/10mm Direct thread Bolt. 2 x Motorcycle Hand Guard. Can fit most of motorcycle with extended mounting brackets. Protection for your hands while traveling on your motorcycle. Weigh: approx 208g Each. 13mm Internal Fitting to fit most 7/8" Alloy Bars such as Renthal. 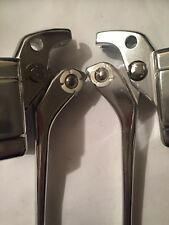 Pair of Heavy Universal Fitting Bar End Weights. Description: Condition: 100% Brand New, High quality Material: CNC T6 6061 aluminum, anodizing surface Color may have 5% different from the photos shown online Package included: 1 pairs Fitment: BMW R 1200GS LC 2013-2017 BMW R 1200GS LC Adventure 2014-2017. Comfortably fits, reduces the strain on your fingers, wrist and arm. The throttle assist will make the rotation of the throttle grip easier. Easy on, easy off. No tools required. Due to the light and screen difference, the item's color may be slightly different from the pictures. 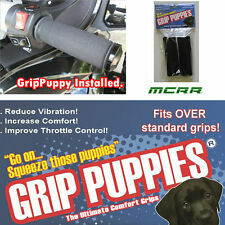 MOTORBIKE AND SCOOTER HANDLE BAR GRIP PUPPIES. IF YOU ARE LOOKING AT THIS ITEM ALREADY CHANCES ARE YOU KNOW HOW GOOD THEY ARE. Grip Puppies. IDEAL FOR ALL BMW MOTORCYCLES. Chances are that through our international network of high quality suppliers we will be able to source the item you are looking for. Each set includes an extra adapter sleeve for mounting in either aluminium (14mm ID) or (17mm ID) handlebars. 1x Front Brake Lever Protector Set and 1x spare guard. 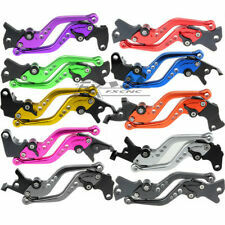 Fully adjustable front brake lever guard in BLACK. Motorcycle parts. Fits Most motorcycles/ Bikes/ Choppers/ Crusiers/ Touring with 8mm/10mm Direct thread Bolt. Can fit most of motorcycle with extended mounting brackets. Protection for your hands while traveling on your motorcycle. 1 pair LED Handguards Hand Guard. -- It efficiently protect your hands from rocks, mud and cold wind while driving. Blue line: turn light. Quantity:One pair. -- Easy To Install, Simply Connects To Your Vehicle's Side/Parking/Head Light Wiring. Color: Black. You may also like. BAR PAD RENTHAL FAT BAR ORANGE. Specially designed for use with Renthal Fatbar® Handlebars. Velcro Fastening. All WPB Models. 1 x Set of Genuine Stomp Alloy Bars in Black. All Stomp Models. All Demon X Models. Thus, the first Triple Density Grip was born! RENTHAL HANDLEBARS HIGH - 756-01- . AVAILABLE IN BLACK, GREY OR GOLD OR SILVER. if you do not specify a colour we will send you BLACK. the best possible prices. You can be sure that if you are thinking of doing it, then one of us will have probably tried it! Can be removed and installed on another motorbike within 30 secs without tools. Operated by index finger or thumb. RENTHAL BLACK HANDLEBARS ULTRA LOW - 758-01-BK. GOLD RENTHAL ULTRA LOW BARS:758-01-GO GOLD. SILVER RENTHAL ULTRA LOW BARS:758-01-SI SILVER. BLUE RENTHAL ULTRA LOW BARS:758-01-BU BLUE. GREY RENTHAL ULTRA LOW BARS:758-01-GR GREY. A PAIR OF HAND GUARDS WITH LED INDICATORS. Made from ABS high impact plastic. This item is not E-marked or DOT approved. All fitting hardware included. BAR PAD RENTHAL SX RED. Durable PVC cover. High-density, injection moulded foam to reduce rider injury. Velcro fastening. Power-wash proof permanent graphics. 240mm: Black,Red,Blue,Orange,Green,Yellow,Black/Red,White/Red,White/Green,White/Blue. Handguard for 22mm (7/8") handlebar. 1 Pair hand guards (Left & Right). - They look sharp and enhance not only your comfort level, but also your bike’s appearance. Bright color and stylish design can not only enhance your comfort level, but also decorate your motorcycle. 1 25ML TUBE RENTHAL GRIP GLUE. IT'S NATURAL THAT A WORLD LEADING MANUFACTURER ALSO LEADS THE WORLD AT THE VERY TOP LEVEL OF SPORT. 2x Hand Guards. Size:As the picture show. Except For: BMW F800R 2009 UP. This item have 3 months warranty. Color: Yellow. To Fit Yamaha YBR 125 - All Years. YBR Handlebars: 172446490233. 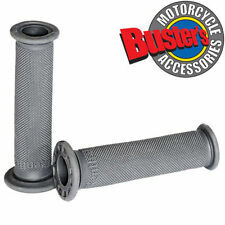 YBR Handlebar Grip Pair: 173543662353. Mag/Air Lever 7/8", ball ended - Left Hand - WW83007. The OEM number is for reference only. This cannot be rectified after you have paid. Doesn't lock throttle on. Easier Throttle Operation. Reduces hand fatigue and cramping. Comfortably fits your hand. Fit for Kawasaki,Yamaha,Suzuki,Honda,Ducati,Harley-Davidson,Triumph,Victory,Aprilia.